John Goodman, CEO of Accenture Federal Services, told Federal News Network in an interview published Thursday that the federal government is focusing on information technology modernization and efforts to improve government services. Goodman said the Federal IT Acquisition Reform Act has helped federal chief information officers become innovation partners and cited the factors the company considers as it works on government projects. Those include the need to have a clear vision of the project’s goal and outcome; technology skills; ability to engage with customers and understand the change; and human-centric design, he told host Tom Temin of the network’s Views From the Corner Office show. 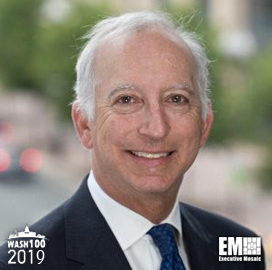 Goodman, a 2019 Wash100 winner, shared his thoughts on the government’s focus on artificial intelligence and the challenges facing federal agencies when it comes to AI adoption. “Those are the two key challenges, I think, for our clients. It is first helping their workers and their employees understand how to use artificial intelligence. And second is providing their employees with the skills and training to be able to engage effectively,” he added.